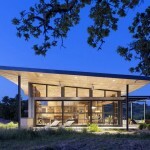 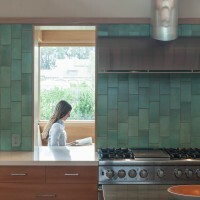 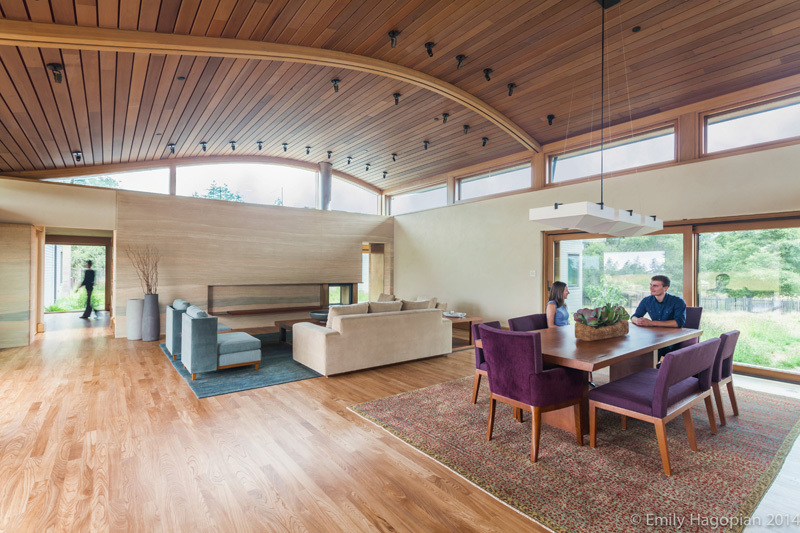 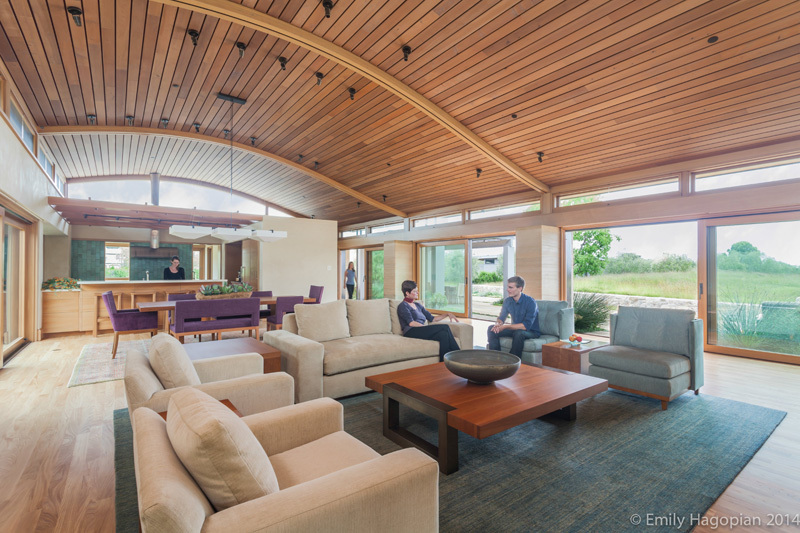 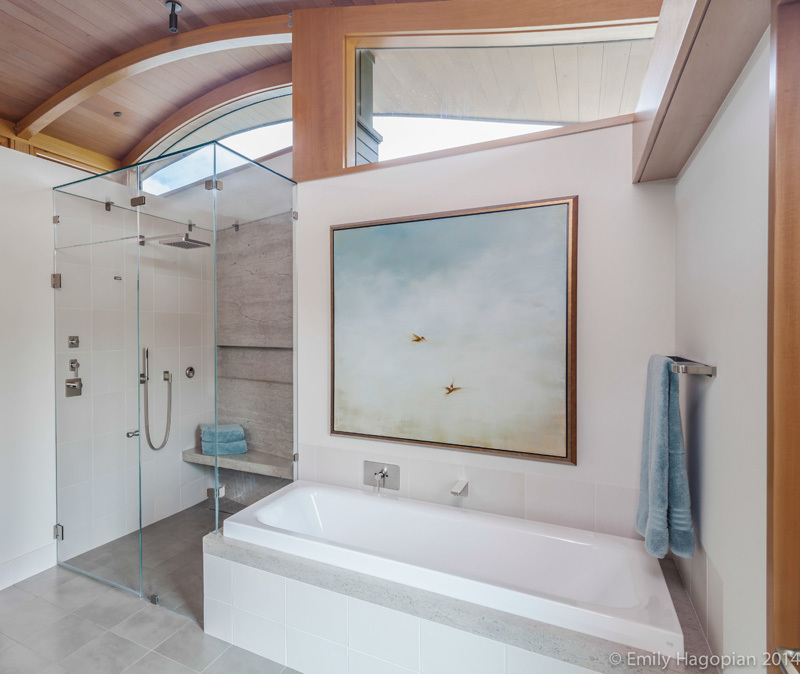 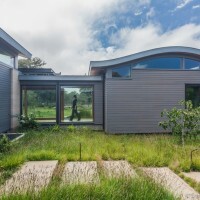 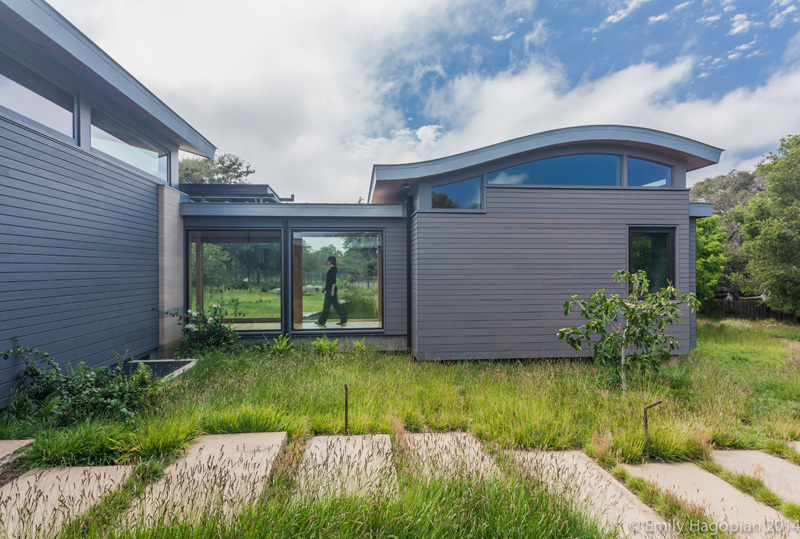 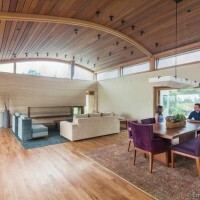 William McDonough + Partners have designed the Meadow Farm House, a home in Northern California, that features a wavy roof with solar panels. 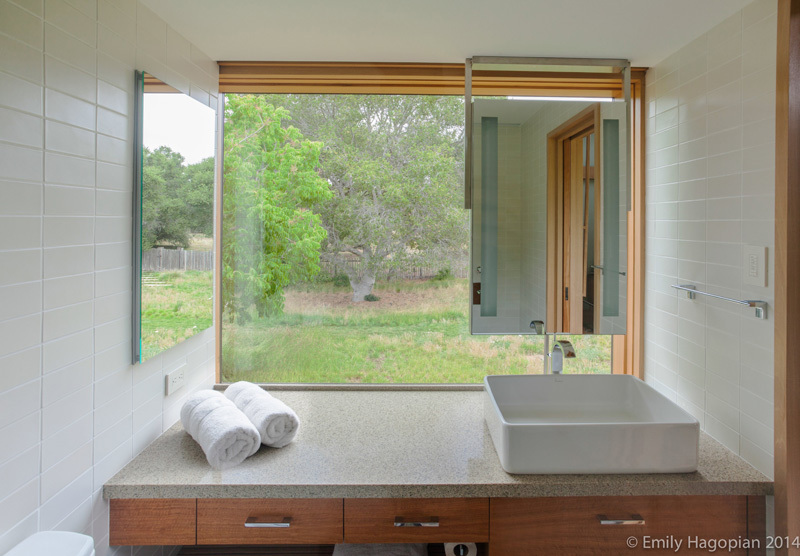 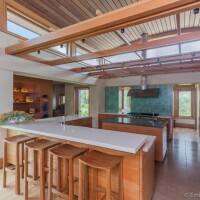 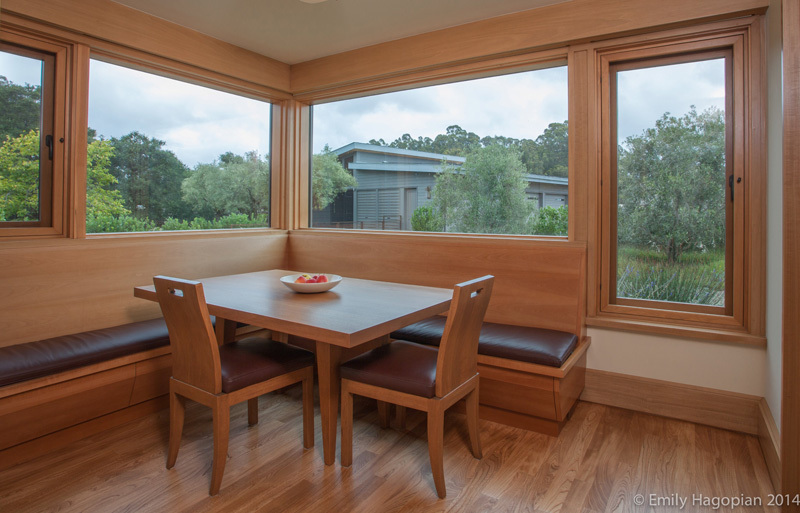 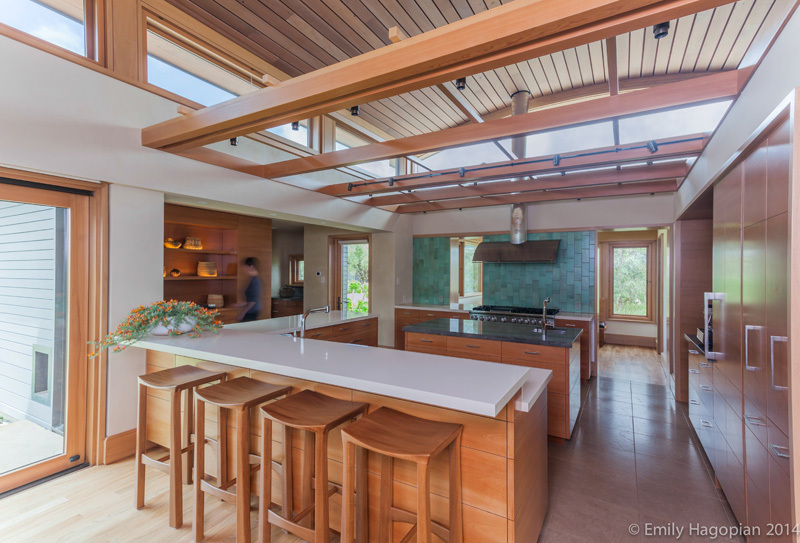 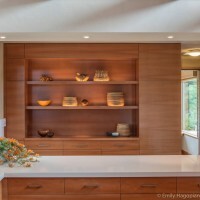 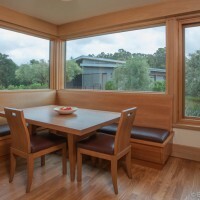 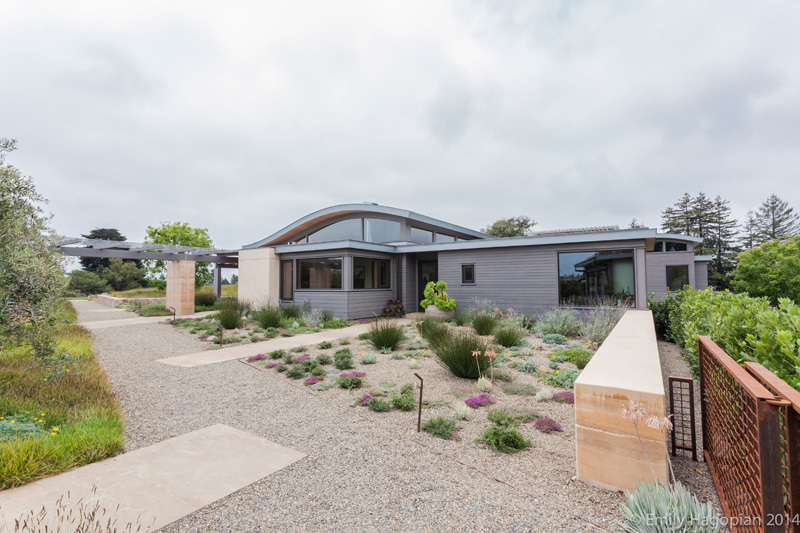 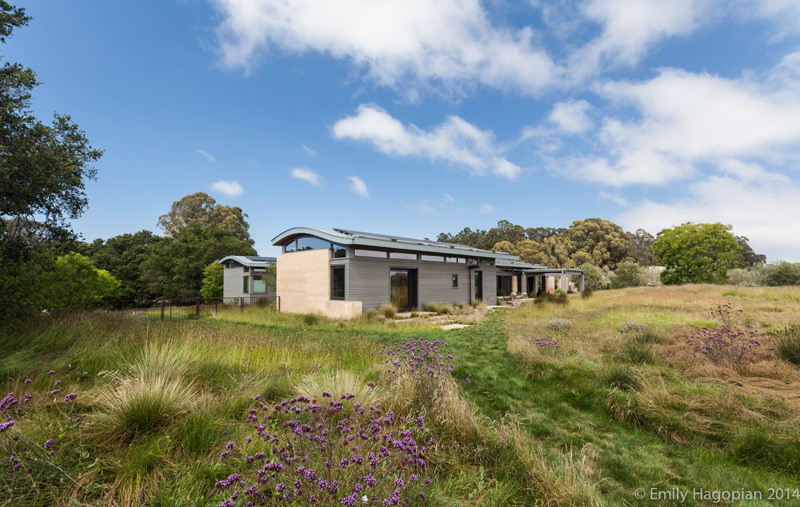 The site design of this small organic farm and residence transitions from a cultivated landscape of orchards, gardens, and farming towards a restored native ecology of meadow grasses and coastal live oaks. 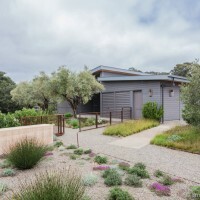 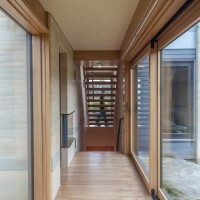 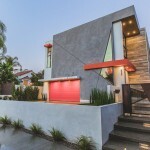 The interwoven site and architectural design celebrate the native Northern California landscape and a deep connection to place. 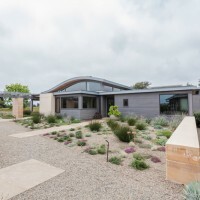 The main house is a series of pavilions with rolling zinc roofs that echo waves and wind patterns coming off the ocean, just visible from the property. 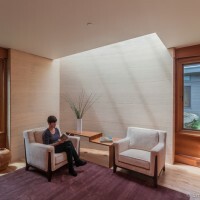 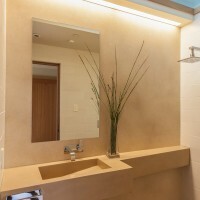 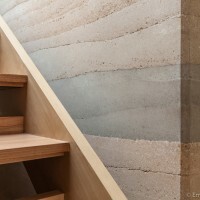 Striated color patterns in rammed earth walls extrapolate the gentle curve of existing site topography. 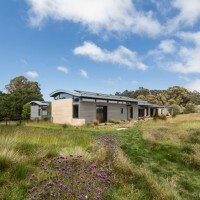 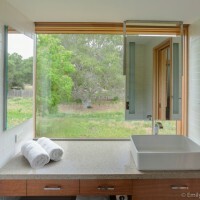 The farm is a net energy exporter and includes comprehensive rainwater and graywater harvesting. 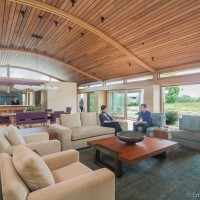 The project is LEED Platinum certified and is a pilot project in the Sustainable Sites Initiative™ (SITES™).